Happy Ukrainian Christmas to our readers. 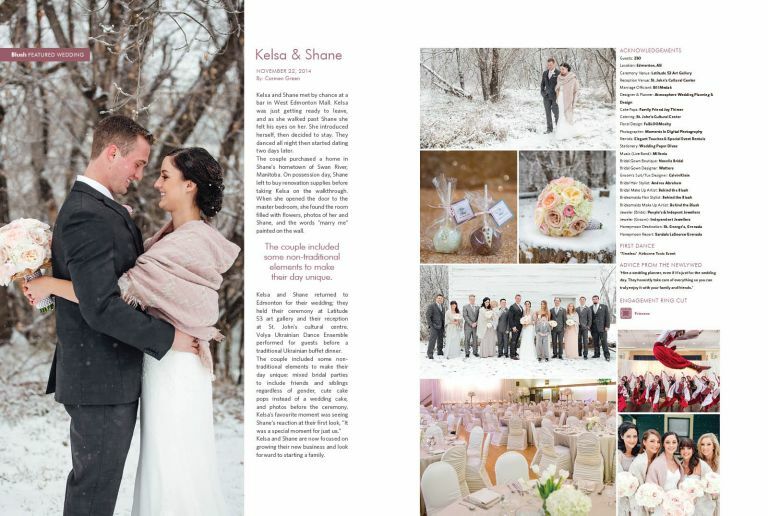 To celebrate the season, we are delighted to share with our readers that Kelsa & Shane’s Edmonton Winter Wedding was chosen by Blush Magazine to be published in their Fall/Winter edition as one of their featured weddings. 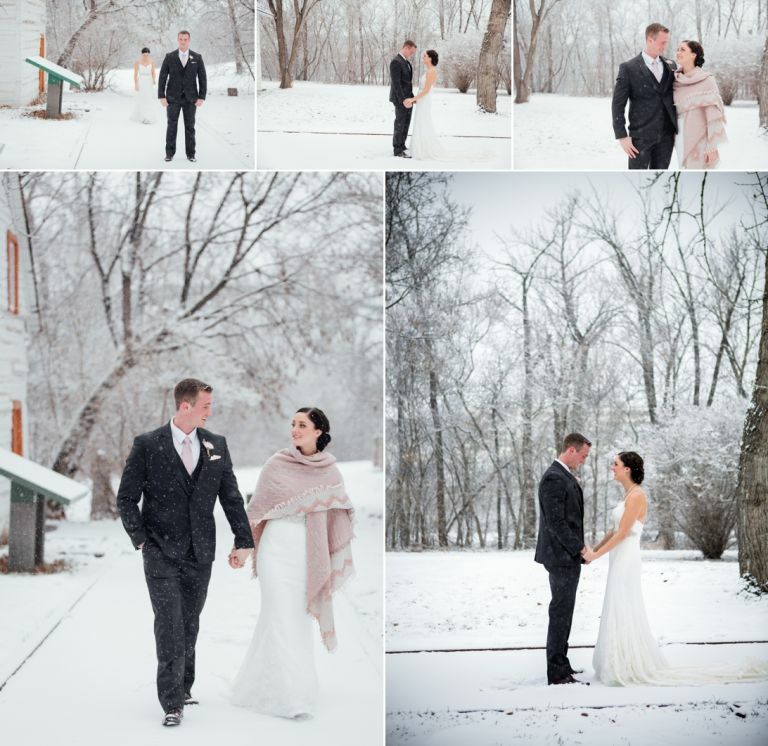 They both wanted a winter wedding and Mother Nature delivered some beautiful fresh snow just in time for their first look and photos in Edmonton’s River Valley. Kelsa & Shane held their ceremony at Latitude 53 Art Gallery and their reception at St. Johnâ€™s Cultural Centre which featured a dance performance fromÂ Volya Ukrainian Dance Ensemble. 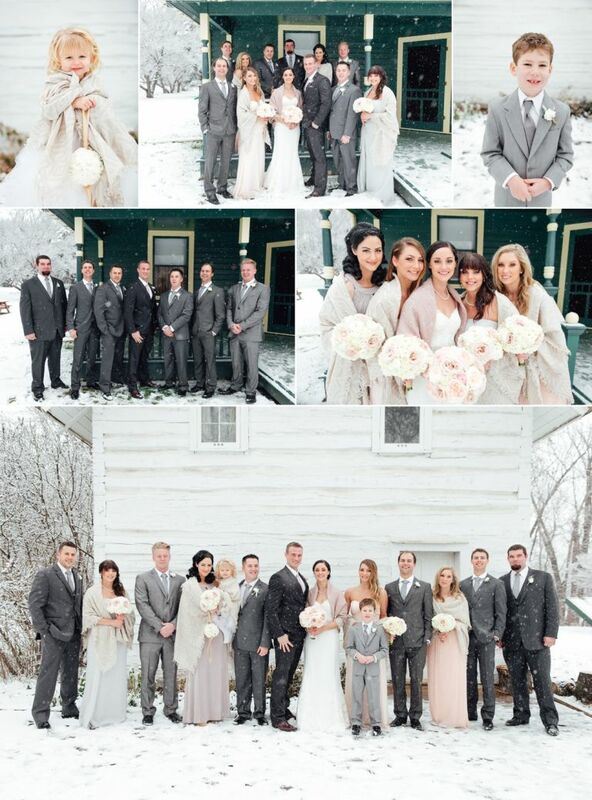 We had such a fun time photographing their winter wedding last year and we’re thrilled that one of Canada’s top wedding magazines chose to feature our photography in their publication. If you are getting married and looking for a photographer, be sure to contact us to schedule a complimentary consultation at the studio to receive a complimentary copy of this great wedding resource. Here is a look at the featured spread. 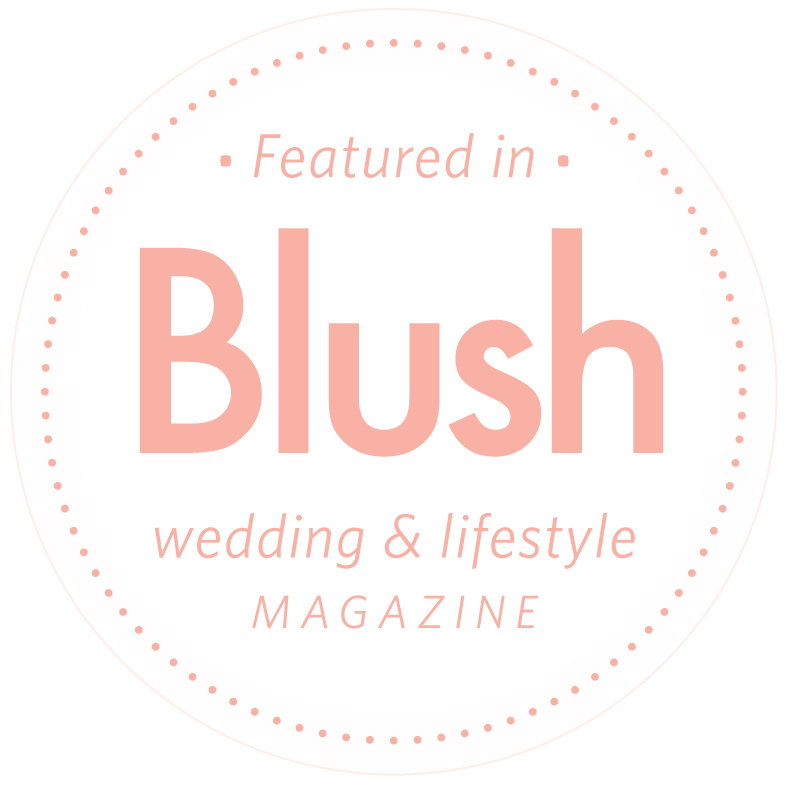 Be sure to check out their full sneak peek which we published on our blog shortly after their wedding last November. 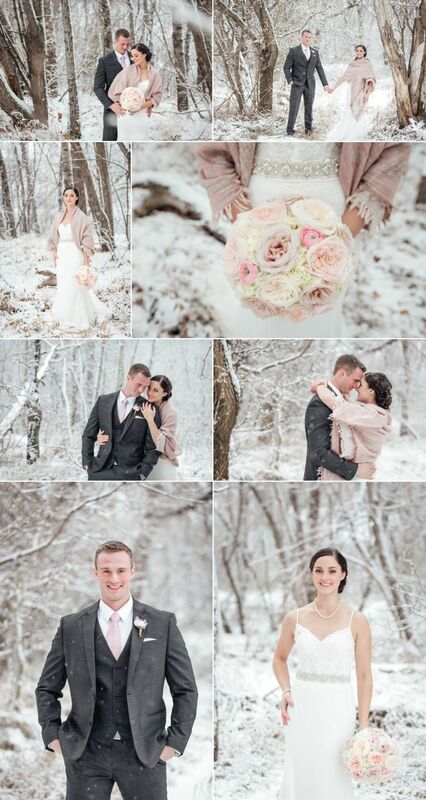 Here are a few of our favourite photos from their winter wedding in Edmonton.